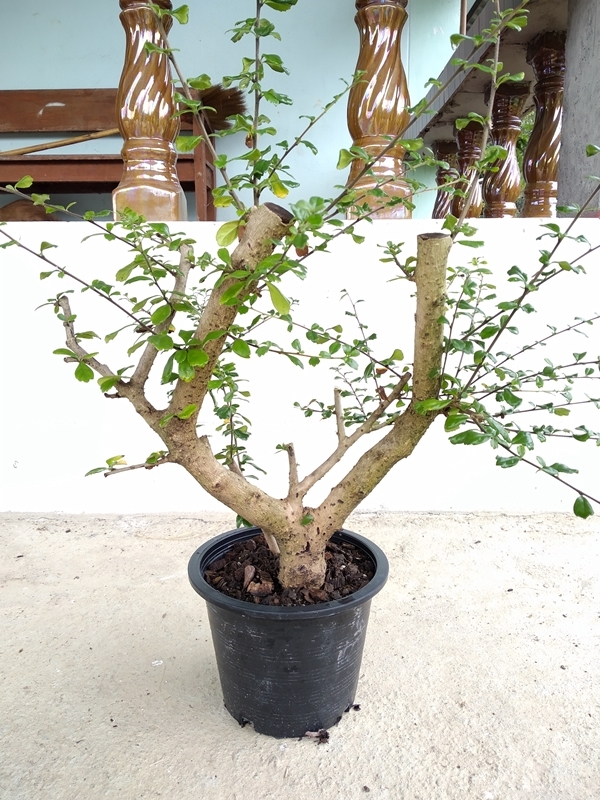 Hello everyone I'm rookie bonsai form thailand. I love narutal style bonsai like walter pall. 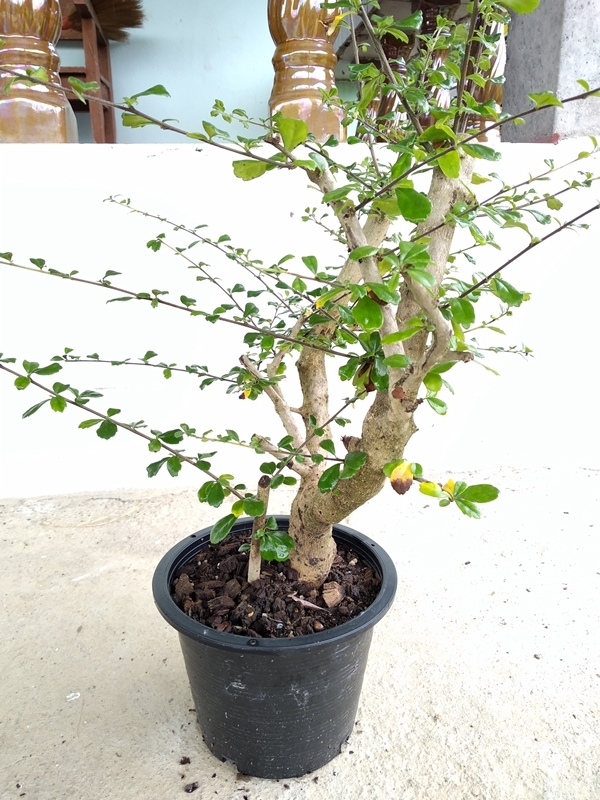 Today I want some help form everyone to design my fukien tea to netural bonsai style. I've no idea. wire all the rest of the small branches with a downward angle , and put movement in each branch,( s shape ) and make sure to make them like the spokes of a wheel all around the main trunk . To quote a football legend, "Knot so fast, Woody!". To owner of the deer antler Fukien asking for guidance, STOP before u chop. Consider this. Everyone has an opinion. They're just like a******s; everybody's got one and they usually stink. Crank up the ol' computer and look at "images Fukien tea bonsai". There is/are a plethora of examples(I can never remember if 'plethora' is singular or plural). Think with your mind, not your cutter. Draw some possibilities for your wonderfully thick trunk tea tree. That is huge, to begin with!!! Don't destroy the best part of the tree. DO remove the deer antler look! 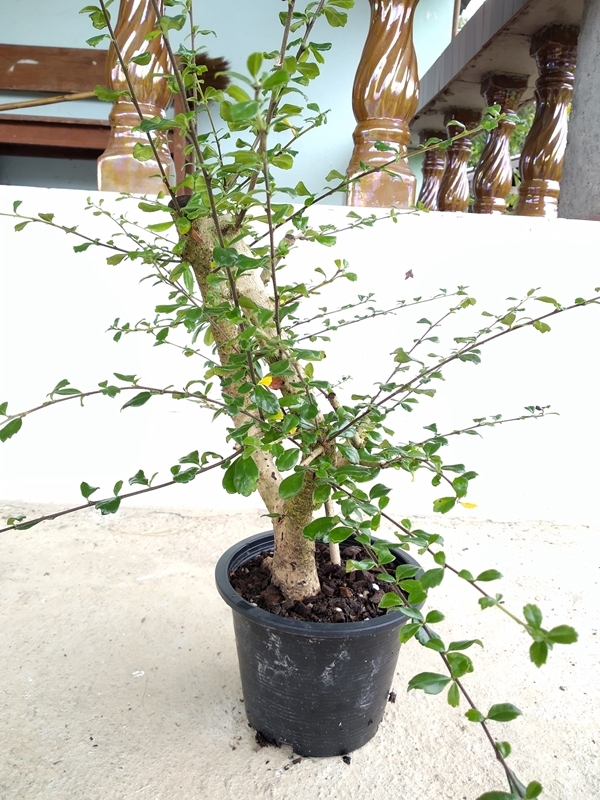 If I remember correctly, Thailand is sort of tropical, so consider planting this excellent potensai in the ground for a season or two for stimulus to grow, as the tree needs to grow some above the main trunk. Remember, symmetry is the enemy of bonsai. Don't use even numbers of trunk, branch, etc. Remember the basics. Do you want a spreading look? From your pictures, the second concrete suggestion might be to encourage branching and thickening of the green part(increase in number of leaves and shortening of branches are good). 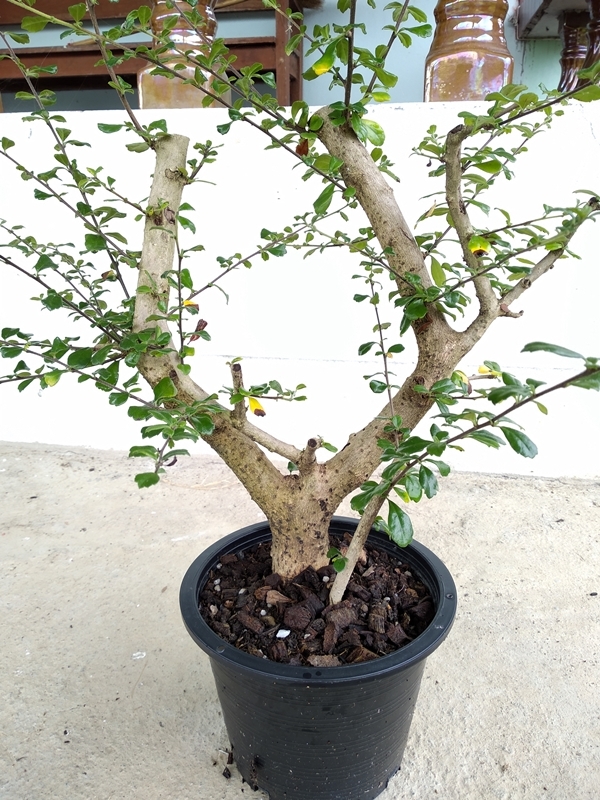 Again, look for images of Fukien tea bonsai on the 'net. Depend on the innate growing characteristics of the fuk' tea tree. I had one "once upon a time". Fascinating material you have there. I have my own ideas as to management of this gem, that would ruin the 'growing' experience of your bonsai knowledge. A cut is irreversible, but don't let it freeze your imagination. Do your homework, then do the cutting. Have fun with it! !